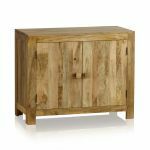 The Mantis Light Natural Solid Mango Small Sideboard is a compact storage solution made from A-grade mango wood throughout. 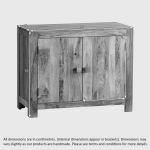 Designed for a smaller dining room where space is of the essence, this small sideboard features a generously-sized cupboard area. 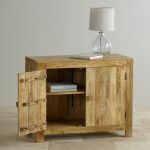 For maximum storage capacity, this area is split with a height adjustable shelf - made from the same high quality mango wood as the rest of the unit. 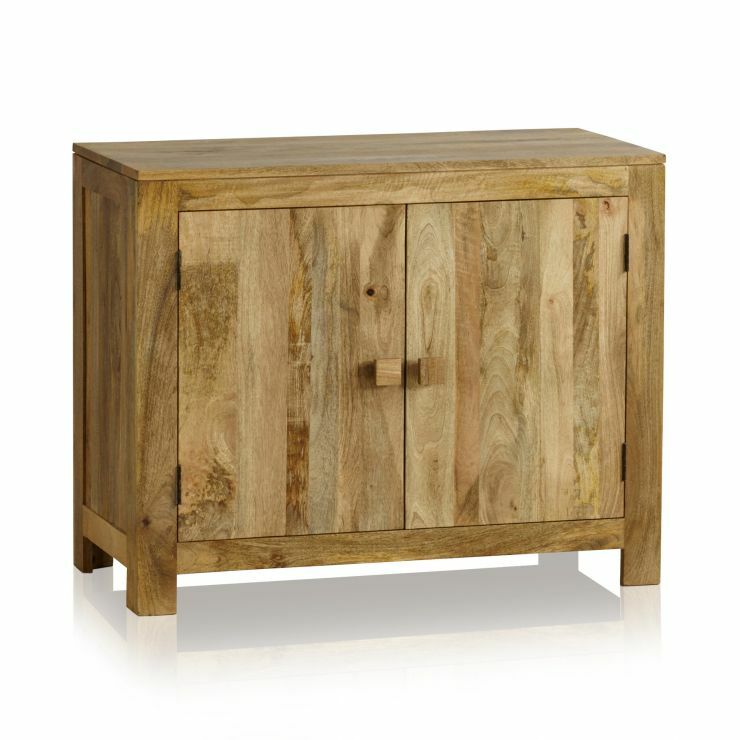 The sleek, clean-cut design works splendidly to accentuate the highly varied grain and mixed hues of the mango wood. 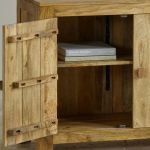 Finishing touches include cubed mango handles which blend perfectly with the cupboard doors and a lightly waxed finish to nourish and protect the timbers. 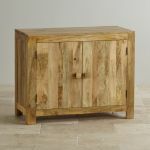 See the rest of this resplendent mango wood furniture collection and discover how easy it is to co-ordinate your decor. Please note: All of our Light Mango collections are finished in the same way, using a clear furniture wax to bring out their unique mango colouring, meaning that they complement one another.